Every year at the end of the Summit, I tune into the Healing Herd to see what they want YOU to take away. All week the horses have been clamoring to share this with you. "YOU are a magnificent Co-Creator who came here down here to this wonderful playground to remember how to manifest your heart's desire. 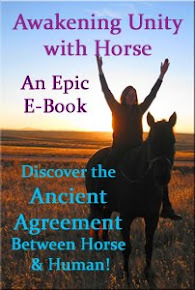 We, the horses, have agreed to play alongside you, in hopes of helping you remember that you are in charge of your creation. We have called YOU forth, specifically, because we agreed to play together. First, in service of helping you to remember. And then second, to help those around you remember that they too can create from joy and expansion. Sure, you can create from the dark, dense, heavy places that restrict you. But you won't much enjoy what you create. Still, sometimes that is a necessary phase, so you can very clearly see what you DON'T DESIRE. From there, it's easy to get clear on what you DO DESIRE. But the trouble is, once you've created what you DON'T DESIRE, it's easy to get fooled into focusing on what you don't like. Heck, it's ALL around you, right? But, here's the trick: it's ONLY there to REMIND YOU of what you DO WANT. So, if you will make the conscious choice to notice what you don't want, and use that noticing to then focus on what you DO want, you will be on the hot trail to creating your Heart's Desire. 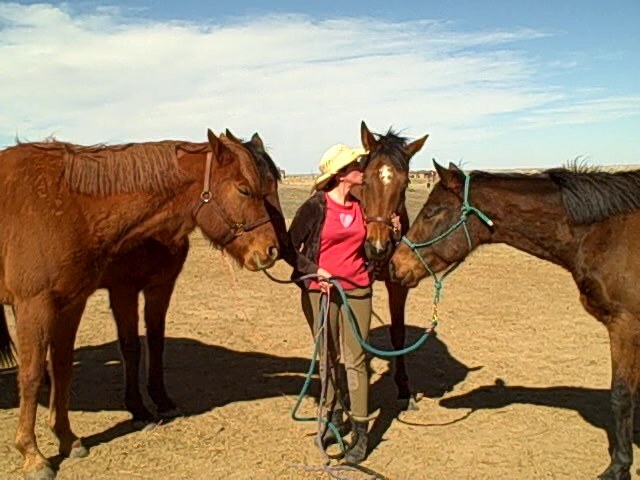 And so, we, the horses, ask you to become EXPERTS at noticing what you don't like, and then creating the FEELING STATE of what you do desire. You DO have that ability, you know! To manufacture your own feeling state moment to moment, by choosing your focus. When you take back your power to choose your feeling state, you remember that you are FREE to create. You can choose anything at all. You can choose to feel depressed and hopeless. You can choose to feel stuck. You can choose to feel limited and constricted and restricted. Now, we LOVE when you choose those states, because those are delicious to partner with you in! But either way, we SEE you and we love you, and we'll patiently wait for however many rounds of this dark & light game you want to play. But we do invite you to join us in the Light. Because when you consciously, consistently choose the Light, soon you will be flowing bright, light, compassion, joy and gratitude and from there, things you DO DESIRE will flow and float right into your life. Once you become this Beacon of Light, you will be able to shine the way for others to become their own Beacons. And so one by one, you can turn the lights on in hearts all over the world. This is our wish. And this is why horses have come into your lives this time around. So that together we can shine the HEARTlight of LOVE across the globe. Now, as ever, is the BEST time to make this choice, this commitment to turn your own Light on, because when you shine brightly, those who are in the darkness will gravitate toward you, and you will be able to share your Light with them. 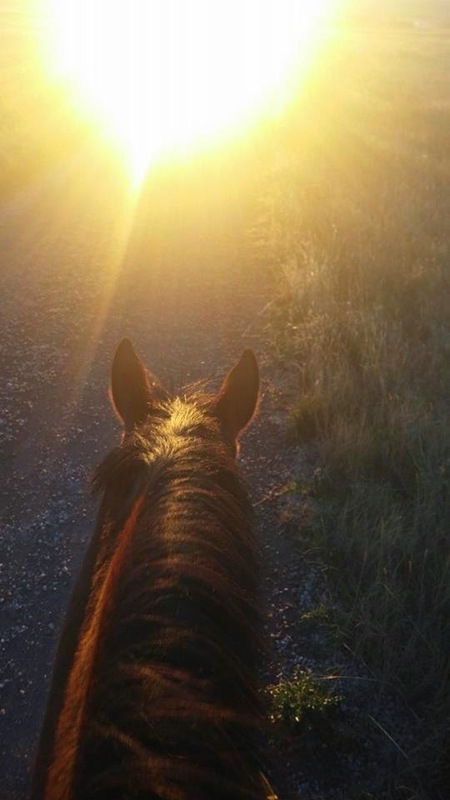 You and the horses will be able to help them remember HOW to turn on their own light, by choosing to FEEL GOOD, no matter what. Of course, we are happy to help you clear what blocks your light so you can more easily choose to feel good. So come to us, daily if you can, and bit by bit, with your conscious intention, we will clear your heart, so that you radiate a LOVE that can heal the world. And then all souls will be FREE to PLAY together, in joyous co-creation of our Heart's Desire. We leave you with the POWER to CHOOSE." Amazing...I'm ready to choose the light!! We choose the Light with you Linda!!! Along with the heart of horses! 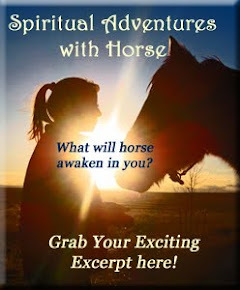 The Magic & Miracles of Manifesting with Horses!